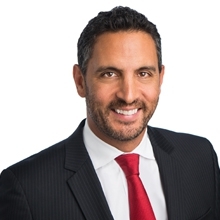 As Chief Executive Officer of The Agency, Mauricio Umansky leads a team responsible for representing buyers and sellers internationally with many of the world’s most distinguished architectural estates, new luxury developments, and design-centric homes. He prides himself on his ability to stay involved in and facilitate all aspects of The Agency’s team, from in-office collaboration to creative marketing and sales techniques. Mauricio places a premium on customer service, drawing on more than 15 years of experience and out-of-the box thinking to ensure that his team provides the best customer experience in the business. He is constantly innovating and planning new ways for The Agency to grow – not only as a real estate brokerage, but as a cutting-edge, 21st century lifestyle company with a global presence.